"ShK toxin peptide is derived from a Caribbean sea anemone, and was found to be a potent blocker of the Kv1.3 potassium channel in white blood cells known as T-cells." 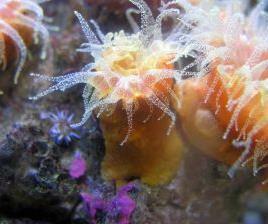 What began with a single sea anemone over a decade ago has turned into an investigation into autoimmune diseases of huge proportions by Professor Ray Norton and his team. Now, having received a five-year National Institute of Health (NIH) grant, Professor Norton is convinced they can develop their research further. In the mid 1990s Professor Norton from Monash University's Department of Medicinal Chemistry, and his team determined the structure of a peptide known as ShK toxin. This peptide is derived from a Caribbean sea anemone, and was found to be a potent blocker of the Kv1.3 potassium channel in white blood cells known as T-cells. Professor Norton was then able to collaborate with a team of scientists in the United States who were investigating potassium channels as targets for the development of novel immunosuppressive agents. This research found that autoimmune diseases, which occur when the immune system mistakenly recognises a harmless part of the body as foreign and attacks it, were dependent on Kv1.3 potassium channels to multiply and survive. The partnership between the teams of scientists focused on developing a therapy for autoimmune diseases. With potassium channels controlling all sorts of key functions in the human body, developing a drug without unwanted side effects would have been impossible had it not turned out that the Kv1.3 potassium channel is found only on T-cells and in the nose. 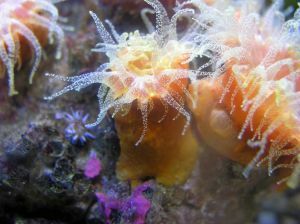 Because of this limited distribution, Professor Norton and his collaborators were able to develop a very selective immune suppressant from a chemically modified derivative of the sea anemone peptide. Unsatisfied that it’s the best it can be, they continue to pursue it further. 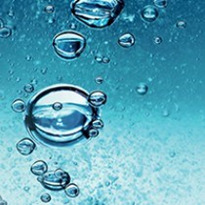 "We think there is an opportunity to improve upon the treatment. Even though this treatment is an immunosuppressant that doesn’t shut down the whole immune system, there are still potential side effects to using it. The NIH grant will enable us to generate variants of this peptide with fewer side effects and lower production costs," Professor Norton said. "We are already moving forward in this kind of treatment but we think that there is an opportunity to make it even better, and from this grant we can see that NIH agrees with us."